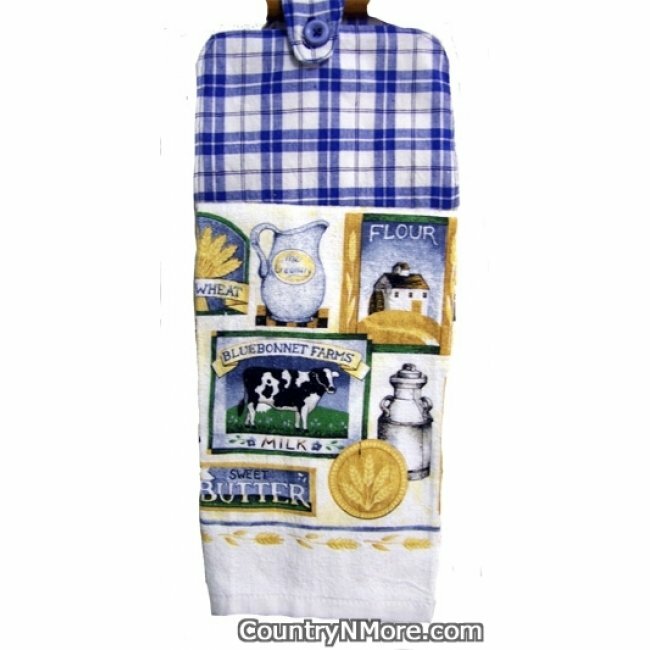 This country kitchen towel has the feel of the country with fresh butter, cream, sweet butter, and a cow. It is perfect for any country home. The top is made from a blue and white plaid homespun fabric. This towel is designed to hang over the oven door handle, and will be handy for the next time you need to dry your hands.This is a perfect gift for a special friend, family member, or even yourself. Use this heavy duty towel for every day use in the kitchen, or to add a decorative touch to your home.